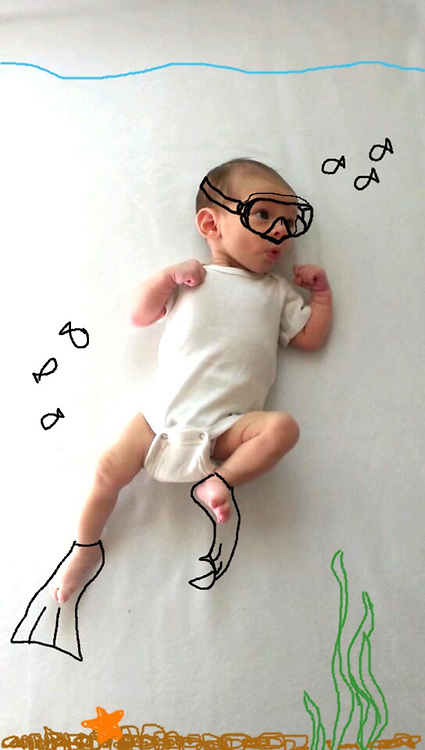 When U.S.-based artist Amber Wheeler gave birth to her son she decided to incorporate him into her works - with hilarious results! Miss Wheeler's pictures have become an online hit after she used a white background and computer painting tools to create the heartwarming images of her son in a variety of different styles and personas. In one photograph the baby is a chef cooking in the kitchen, and in another he has a gun strapped to his chest, ready to go into battle.